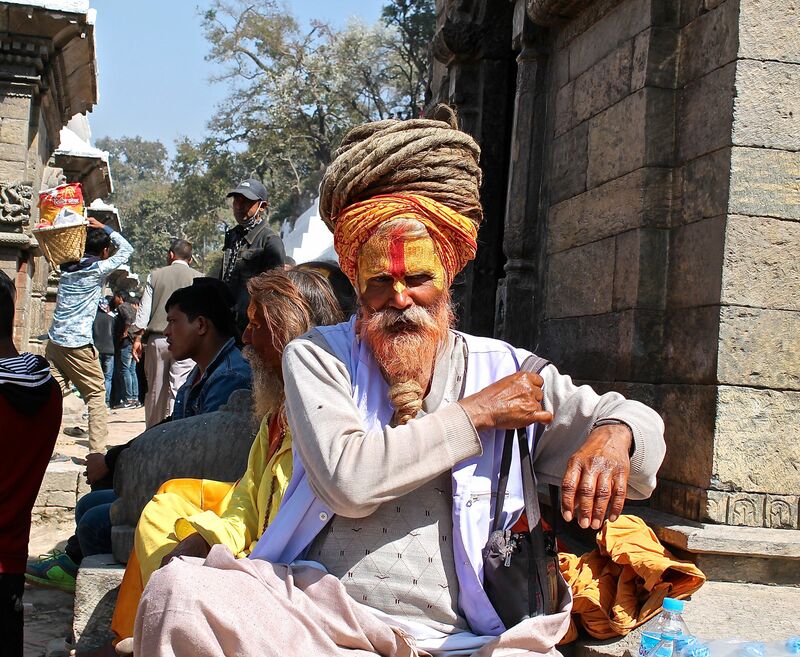 The roads are thronged with saffron clad Sadhus with impressive dreadlock and the most bizarre looking pattern on their faces and ashes smeared body. 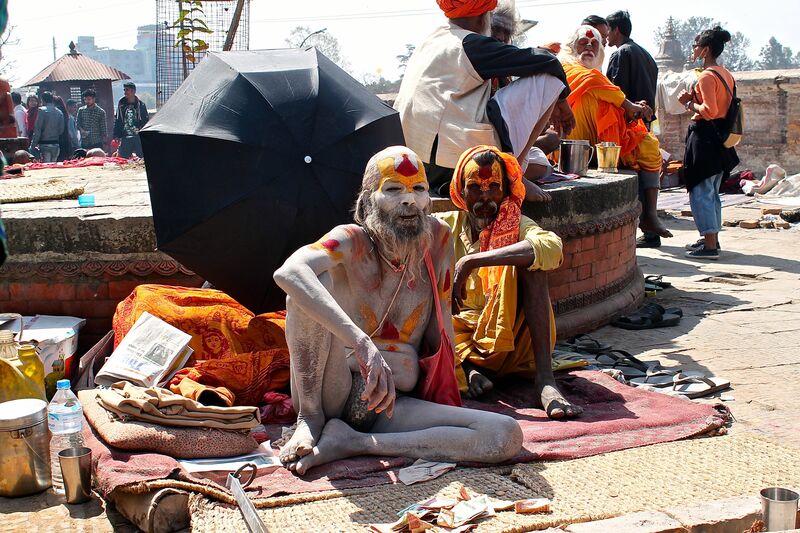 These esoteric Sadhus are seemed to be engrossed in meditation in almost trance like state induced by marijuana. Some of them are stark naked! Yes, you are hearing me right! The streets are full of devotees with puja materials like bel (applewood) leaf, incense stick, flower, vermillion powder etc to offer Shiva. They stand in a line which seems to be an endless queue to worship Shiva. 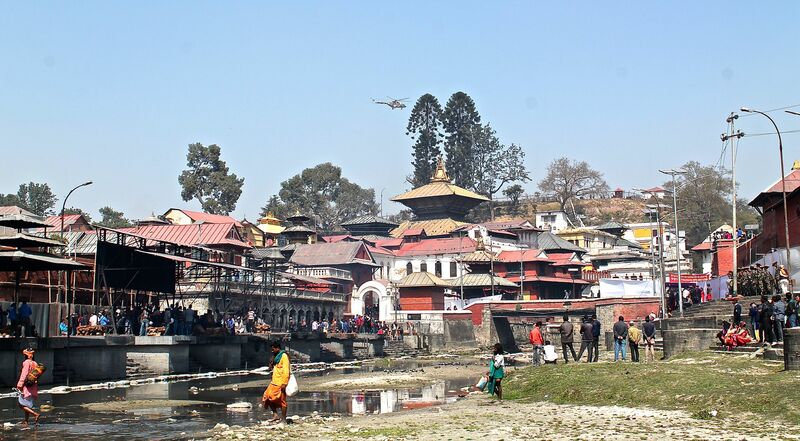 And the other people including youngsters and some western enthusiasts who aim to have some tete-a-tete and photographs with the Sadhus, wander in the streets, alleys, ghats and Sleshmantak forest across Bagmati. 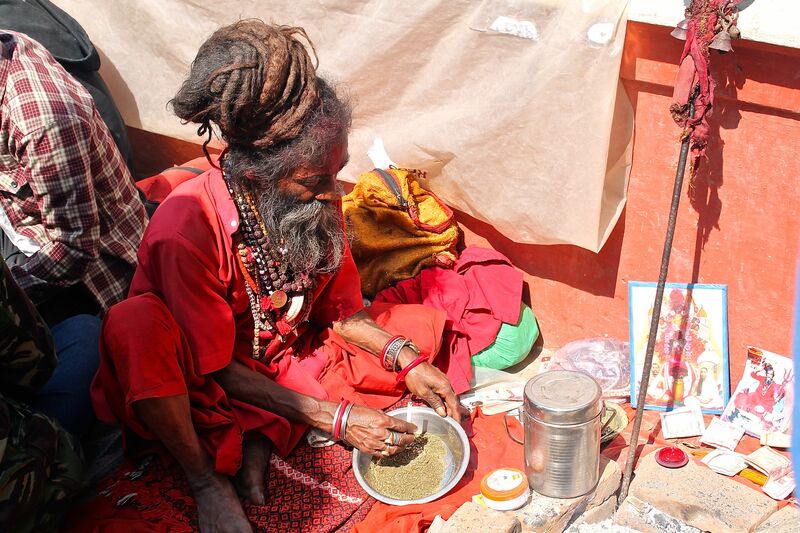 They even expect to share some marijuana with the Sadhus. Marijuana, which is also consumed by Shiva himself under certain circumstances, is allowed legally in limited amount on this particular day. 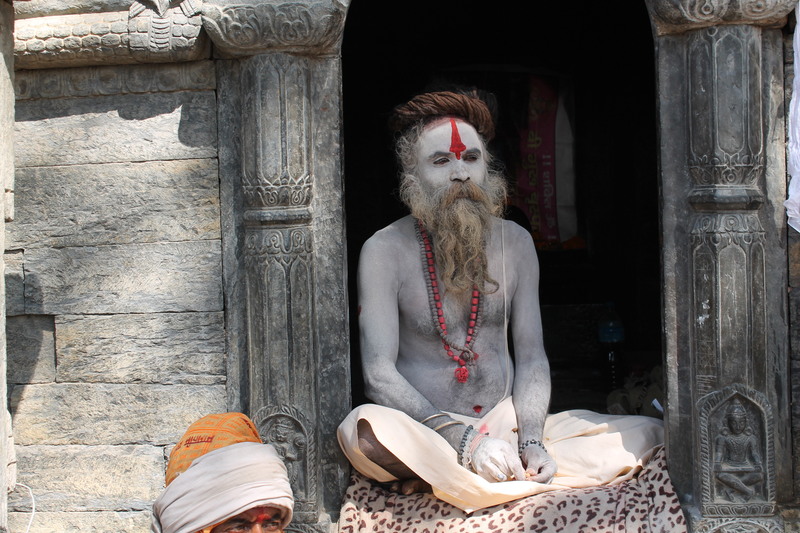 Some other people take holy dip in Bagmati. Some are even found in groups singing bhajans at the porch and steps of public resting houses. To add more color to the festival there is also a fair in the vicinity which is a mixture of everything from makeshift roadside stalls to snake charmers from India. And during night the whole area is lit and people have bonfires with a belief to make Shiva warm and also keep all-night vigil. 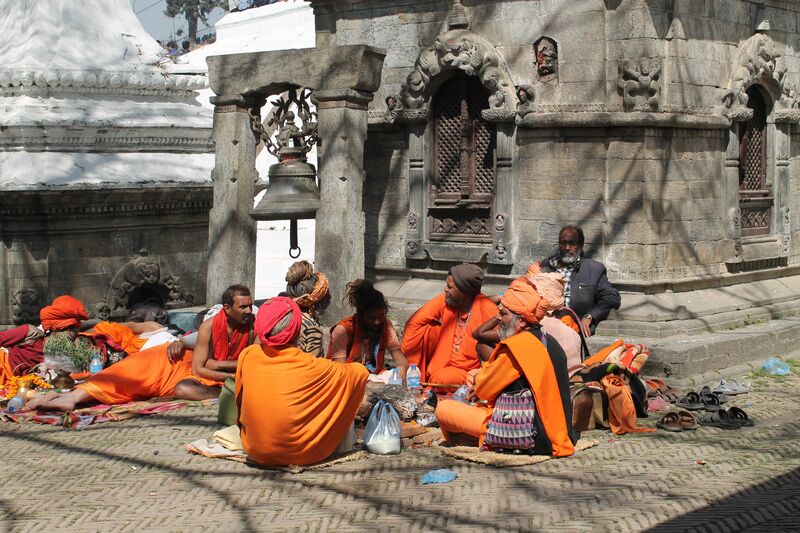 So, the whole vignette emanating a mystic appeal is a regular picture of Pashupatinath during Maha Shivaratri festival. “Maha Shivaratri”, which literally means “the great night of Shiva” is one of the most revered festivals of Hindus. It is observed annually on the night of Falgun Krishna Chaturdasi, (approximately around the end of February or beginning of March, 24th February this year). With the advent of Spring, the Hindus observe this festival in the honor of Lord Shiva, the supreme most deity among the trinity in Hindu pantheon. Shiva is manifested as a Yogi in the most concrete form (saguna), and considered as a destroyer, cosmic dancer, primordial energy, formless consciousness and infinity in the most abstract form (nirguna). The devotees worship him in all his forms by fasting and performing puja rituals during this festival and wish for his blessings. Unlike other Hindu festivals, this festival is nocturnal as the name itself suggests. People keep all night vigils and do bonfires and merry making. However, there are many rituals/activities that keep people busy during daytime also like morning ablution and temple visit. There are many myths related to this festival. One myth says that it’s the day when Shiva drank the Kalkut poison that had emerged out of the churning of cosmic ocean. Another story tells that it’s the day when he manifested himself in the form of JyotiraLinga for the first time. Yet another myth relates the marriage of Shiva and Parwati to this day. Whatever stories are there behind the observances, the day is considered as the most auspicious one by all Shiva believers. This festival has been observed since time immemorial, and still is being celebrated with equal devotion which makes us wonder in awe. As it’s a Hindu festival, it is observed worldwide by Hindu community. Even within the country also, the festival is celebrated with same faith in many other Shiva temples. 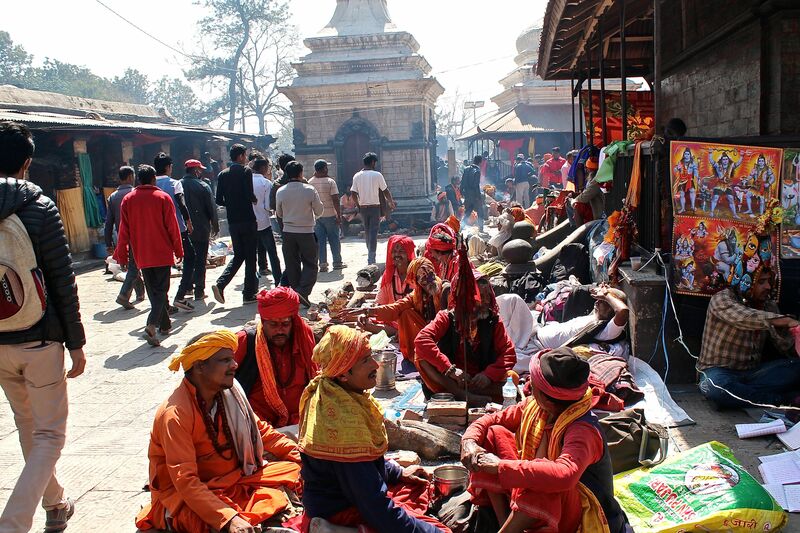 However, the grandeur and liveliness of Pashupatinath is not something you would like to miss in your life.